Apologies for us not hosting a Google Play gift card giveaway in a while, but with smartphone release schedules getting moved around this year, we have been a bit busy. To make up for it, we’re going pretty big this time around with $300 in gift cards for 18 different winners. This is probably our biggest gift card giveaway to date. Well, we have given away $300 before, but not to 18 different people. This time, we are handing out 10 $10 gift cards, along with another 8 $25 gift cards. Your chances of winning are better than they have ever been. The contest runs from right now until tomorrow morning. When it finishes, we’ll email winners and then send over redemption codes. Within minutes of being chosen, you can begin enjoying free cash. As always, we went with Rafflecopter to manage the contest. There are a number of ways to enter, so choose which way you find easiest. The more you enter, though, the more chances you have to win. 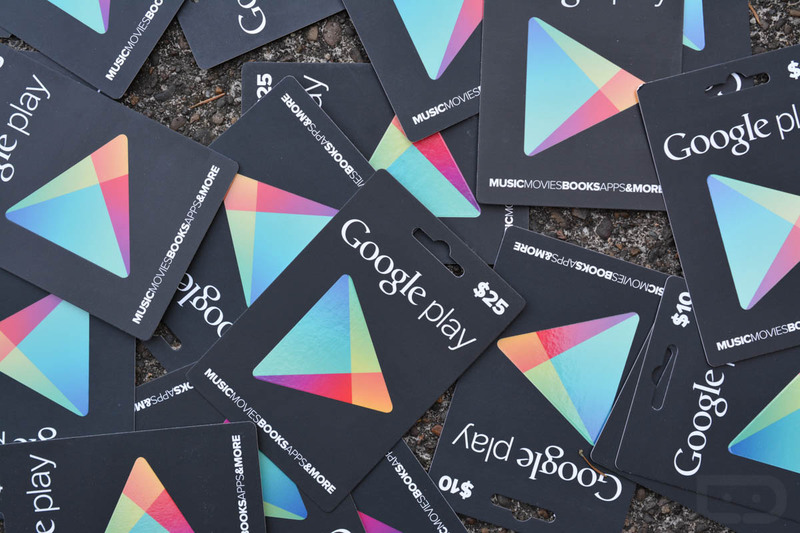 Prizes: We have 10 (ten) $10 Google Play gift cards and 8 (eight) $25 Google Play gift cards for 18 winners. Winners: Our 18 winners will be chosen at random tomorrow morning (August 18) at 10AM Pacific.